A 5O MILE CIRCULAR WALK AROUND THE HIGH WEALD OF KENT AND EAST SUSSEX, INSPIRED BY STORIES OF CASTLES, FOLLIES, SMUGGLING, IRON, CAPTAIN SWING AND A VENGEFUL DRAGON. 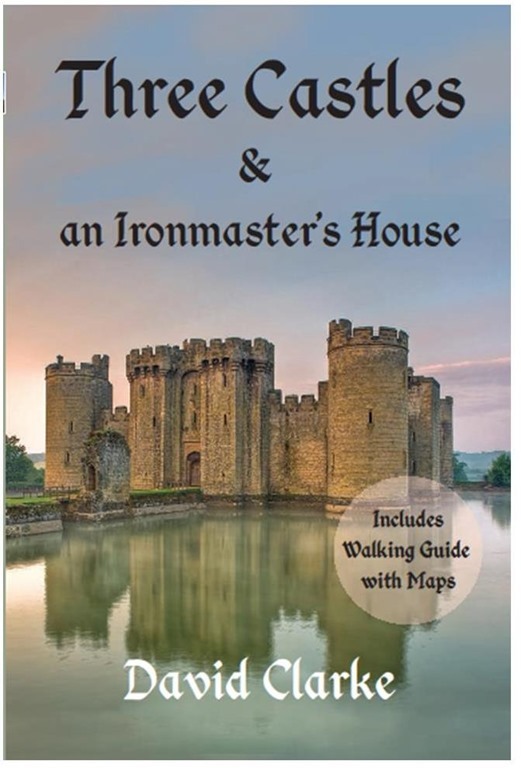 Three Castles and an Ironmaster’s House is published by Bretwalda Books. A review of ‘A Green Walk along the Boundary of St Leonards on Sea’ has featured in The RX Wildlife Blog. Their knowledge of birds and plant life far exceeds mine and I am indebted to RX Wildlife for taking the time to walk the walk and write about what they found. Their review is repeated here in verbatim, and attributed to RX Wildlife. We recently bought a copy of the booklet “A Green walk along the Boundary of St Leonards on Sea” by David Clarke [£2 from St Leonards Central, 11 Marine Court] , and decided to try the route today. This walk starts on the seafront at Warrior Square, heads west, then crosses the main road to South Saxon Wetlands, through this to Combe Valley Country Park [most of the wetland is off to the left, but you get a good view of the rubbish tip restoration-and a more distant view of the Link Road scar], and on to Wishing Tree Reservoir. From here it carries on to Church Woods, and culminates at The Church in the Wood. From here you are directed to Tesco’s, where there are bus stops, this worked for us even on a Sunday and we were carried back to Warrior Square. An interesting walk for us: we had not previously noticed some of the historical features along the Front, the quantity of litter along the path from South Saxons was disgraceful, the various wooded areas contained fine displays of Wild Garlic, Celandines, Anemones and a few early Bluebells. Insects were abundant in the sun-Bee Flies, various hoverflies and a couple of Orange Tips. 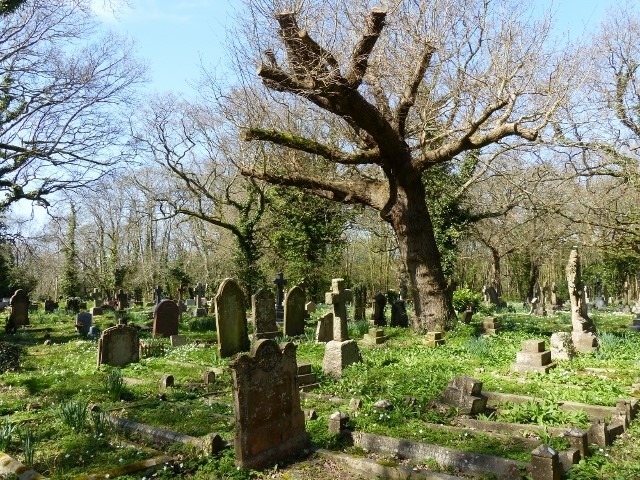 The highlight for us was the churchyard of the Church in the Wood, new to us- we have been involved in assessing wildlife-friendly churchyards in the past-if only they were all like this. In 2013, Wild Hastings joined with RX Wildlife, acknowledged to be the best website for publishing wildlife news from the Hastings, Rye Bay and Dungeness area. To read all the latest wildlife news from Hastings please go to RXwildlife.info .